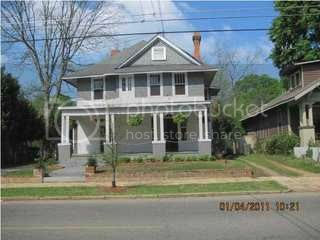 Once upon a time, there was a family that lived in a big, old house. It was a nice and boxy house. One day, Mother went grocery shopping. She came home to find Father and all the children in the kitchen with towels cleaning up water off the floor! This was not a good thing. Mother did not like it, not one little bit. Father said the pipe under the kitchen sink came loose, but he fixed it. They were just cleaning up the mess. Until she took over cleaning up the water. Mother would wipe the water, and more water would come! Mother told father she thought the dishwasher was leaking. Father did not believe her. Mother frowned. She cleaned the water and left. She came back to find more water. She told Father again that the dishwasher was leaking. He rolled his eyes but went to look. Father fixed the dishwasher and all was well. The very next week, Mother told Father she thought the pipe in the upstairs bathroom was leaking. 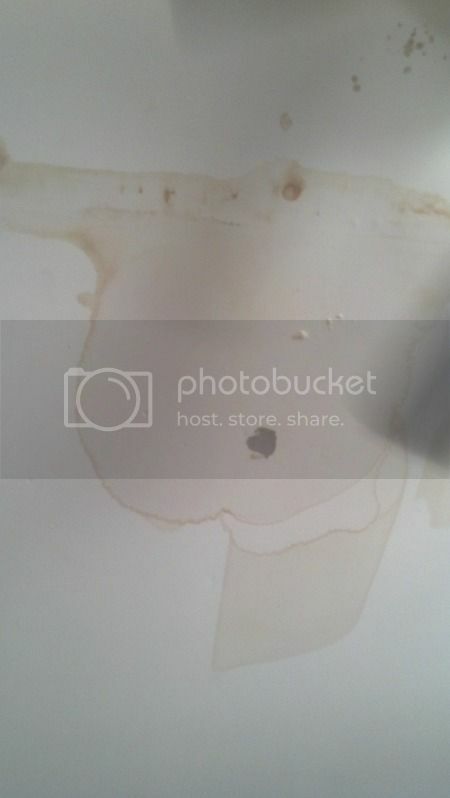 There was a spot on the ceiling where water had once leaked a long time ago and Mother thought it looked bigger. Father did not believe her. Father took a picture of it, so he could show Mother later that it was exactly the same. Mother did not believe Father. That night, she went to bed. She didn't sleep well because she drank a coke at the movie theater. Coke keeps Mother awake at night. Mother walked through a puddle of water on her bedroom floor! Mother frowned. Mother was not happy. Father was wrong again. Mother woke Father. Now Father was not happy, either. Father began pulling up things in the bathroom upstairs to figure out what was leaking. Father thinks he may have found the leak. Maybe. 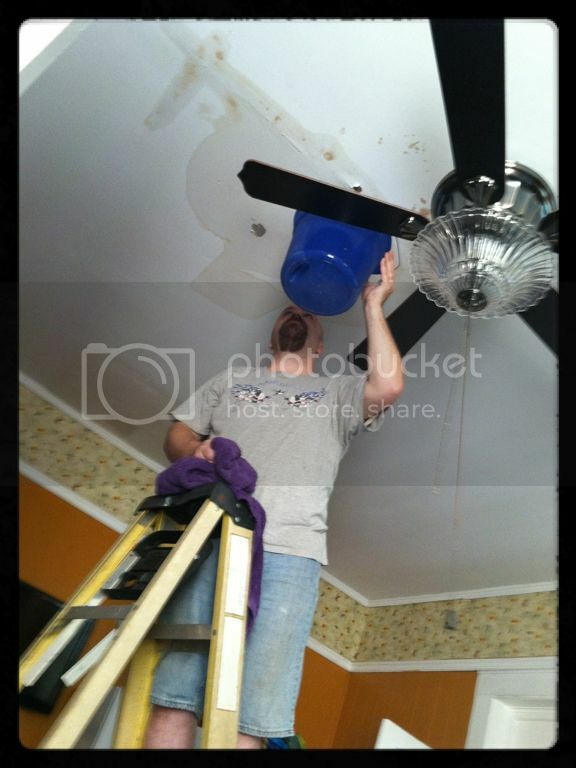 Father spends the morning working on the leak. Mother humors him and buys donuts. She then lets Father take her to lunch. Because Father ought to be very sorry he did not believe Mother again. Now, Father gets to spend the long weekend fixing a ceiling and doing many other tasks Mother has picked up. Maybe next time, when Mother says she thinks something is broken, Father will listen right away! LOL ok, seriously what you wrote about was NOT funny but the way you wrote it was! I am so happy that Mother linked up the story so that we can tell all the "Father's" why it is a GOOD thing to listen to Mothers. ARGH! I had a similar conversation with the husband yesterday and a blown fuse in the car. We've been there! That can be one of the worst disasters a homeowner can go through! What a fun way to tell a horrible story! I hope you guys were able to get rid of all the leaks in the house for good! hahaha...I know this wasn't funny while it was going on but I bet father believes you first time out next time! Bummer! It's a good thing Father knows how to repair these things! Hopefully! I had this same issue, but mine ended with mother calling the home warranty and having the nice plumber come out and fix the damn thing the first time. He also fixed a gas pipe while he was out. 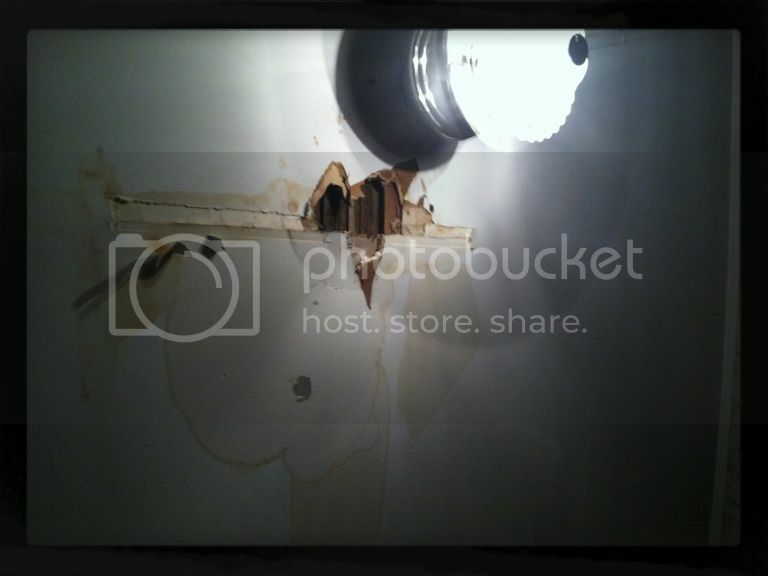 If either leaks again, home warranty will cover it without me having to pay the deductible again. So worth it! Especially if it's damaging an area of the house in the process of leaking.